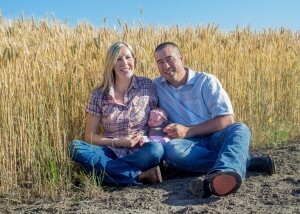 Me, my wife Shay, and our newborn daughter at Pugh Seed Farms. 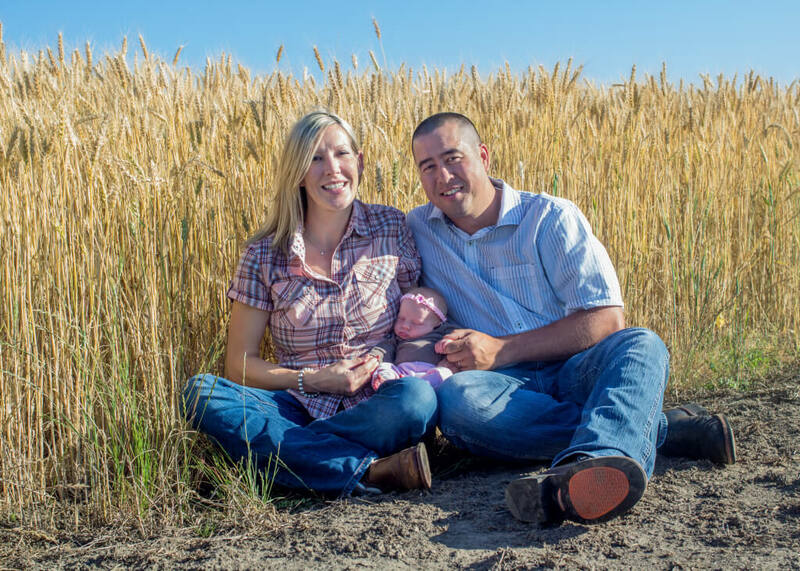 My name is Denver Pugh and I am a sixth generation farmer. I farm with my dad, mom, and now my wife and newborn daughter on our farm in Shedd, Oregon. Here on Pugh Seed Farm, we predominately raise grasses grown for seed such as annual ryegrass, perennial ryegrass, tall fescue, and orchardgrass. 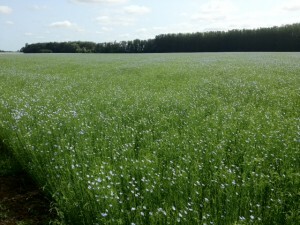 However, we also raise other seed crops such as meadowfoam, radishes, and wheat. A fiber flax field at our farm. The seed from the grasses we raise mostly goes towards planting pastures and hay crops for beef, dairy, and horse farms across the United States and in other countries around the world. Oil from our meadowfoam seed gets extracted and used for cosmetics. Our radishes, along with some of the annual ryegrass seed, get shipped to Midwest farms to be used in their conservation cover crop practices. The wheat we grow gets put on barges in Portland and shipped overseas to Asian countries for noodle production. On our farm we are continually looking to diversify the crops we raise. Not only are we trying to explore new markets, but we are trying to rotate our crops to promote better soil health and increase the quality of the products we do grow. This summer we harvested nine different types of seed crops. 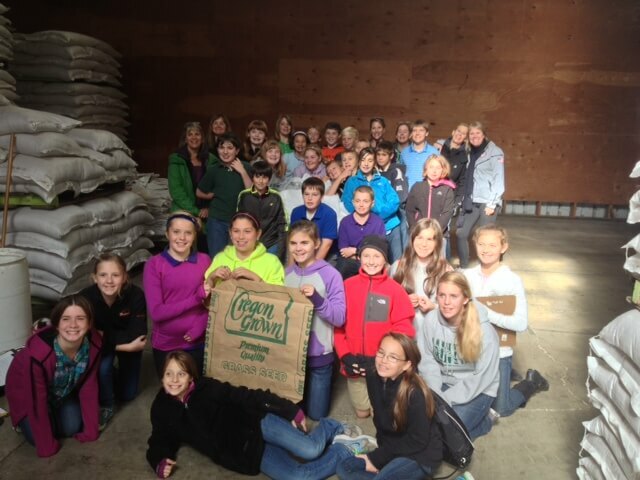 St. Paul Catholic School’s 6th grade class visits our farm as part of the Adopt a Farmer program. Advocation and education about grass seed farming is another big part of what we do on our farm. We take pride in giving tours and talks to people who might not understand what grass seed farming is about. Letting others know that we strive to take care of our land, so that future generations may be able to farm as well.